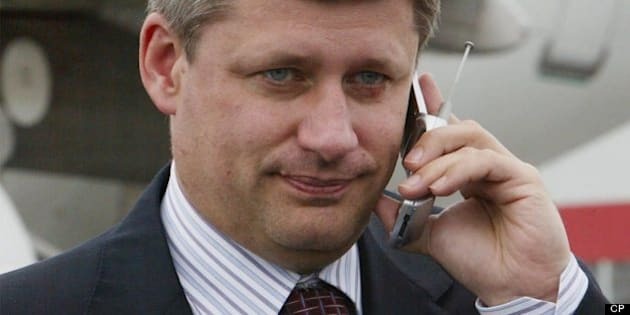 The Conservative government may make good on promises to overhaul the country’s telecom laws to reduce the amount small carriers have to pay to the incumbents in today’s federal budget, one analyst suggests. Phillip Huang of Barclays Capital predicts Finance Minister Jim Flaherty will outline amendments to the Telecommunications Act and Radiocommunications Act to cap wholesale rates —those the incumbents charge the independent players — for mobile voice, data and text services as well as to give the CRTC and Industry Canada more authority to impose fines and penalties on those who break the new rules. The move, first telegraphed by Industry Minister James Moore in December, has been seen as the government’s attempt to breathe new life into the wireless sector, which has seen new entrants largely fail to turn profits and bring long-promised competition into the industry. “We believe this is intended as an interim measure to support smaller wireless operators/new entrants until the CRTC completes its own review on wireless wholesale rates,” Huang wrote in a note Monday. It has been tough for new entrants to make inroads into Canada’s wireless market, with the Big Three incumbent players – Bell, Telus and Rogers – controlling about 95 per cent of the market. Public Mobile was acquired by Telus and Mobilicity is under bankruptcy protection, while Wind recently announced it did not have funding to participate in an auction to acquire new wireless spectrum that would help expand their reach. Smaller carriers lack their own infrastructure in parts of the country and pay the Big Three to use their towers. Moore said in December that Canada’s largest wireless companies charge the small carriers as much as 10 times the amount they charge their own customers. There have been complaints from the new players about the exorbitant rates they pay so their customers can receive service from their competitors’ towers, charges that often get passed on to the consumer. The changes could encourage the new carriers to cut consumer fees and improve coverage outside their home areas, which are mostly in metropolitan centres. Huang suggested the law could be amended so telecom companies cannot charge wholesale customers more than they charge their own customers. Still, he added that he doesn’t see the government lowering the rates to a level that would eliminate the Big Three incumbents’ competitive advantage so as not to encourage new players from simply relying on existing towers without the incentive to build their own infrastructure. The changes would have a minimal effect on bottom lines at the Big Three, he suggested. “Wholesale roaming revenue currently represents less than one per cent of Rogers' service revenue, and essentially nothing for BCE and Telus,” he said. The government’s promises to bring competition to the sector have not gone as planned. None of players that were supposed to function as new national competitors are participating in the current 700 MHz spectrum auction, due to a lack of capital. The auction has also failed to spark the interest of any foreign telecom players.